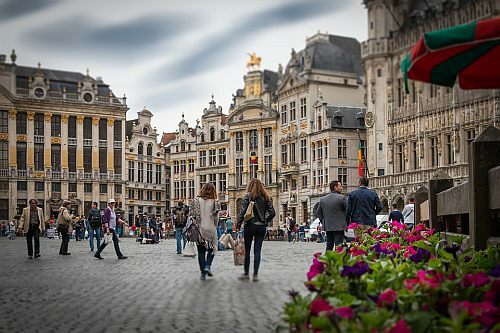 The Star Alliance has dropped the price of their April and May flights from Seattle to various places in Europe down to between $390 and $504 CAD roundtrip including taxes. Some of the overseas legs are operated by Lufthansa. Some are operated by SWISS. Some are operated by Air Canada. Some are operated by United Airlines. Try to choose flights with the first 3 if you can, particularly Lufthansa (an airline ranked #7 in the world this year). 2. Once you get to Google Flights, click on the departure date box to open up the calendar view and browse for the cheaper date combinations. Try dates in April and May 2019. NOTE: A lot of the cheaper prices aren't showing up until you actually select some dates in April or May. 3. IMPORTANT: With a lot of these flights, Google Flights may direct you to the $USD version of the airline's website. If you want to book them in $CAD, and often times for a fair bit less, you can try going to Skyscanner or Momondo or Kayak and searching for the same flight. On Skyscanner in particular, the prices seem to sometimes be coming up for quite a bit less than on Google Flights (but not always). Note that on Skyscanner you may need to click on 'Cheapest' after your search completes. seattle, sea, air canada, switzerland, zurich, zrh, copenhagen, denmark, cph, northern europe, scandinavia, germany, western europe, dublin, ireland, dub, oslo, norway, osl, munich, muc, brussels, belgium, bru, helsinki, finland, hel, lufthansa, united airlines, berlin, txl, billund, bll and swiss air. One Response to "Seattle to Ireland, Denmark, Belgium, Switzerland, Germany, and more ($390 to $504 CAD roundtrip) | spring 2019 travel"
Sadly it all seems to stop in mid May, couldn't find anything for the 19th-25th.